It’s finally release day for Rogue Dragon Rising! What an incredible journey this has been, and I’m so excited to finally share it with you! RDR is currently on sale for $0.99! Yay! 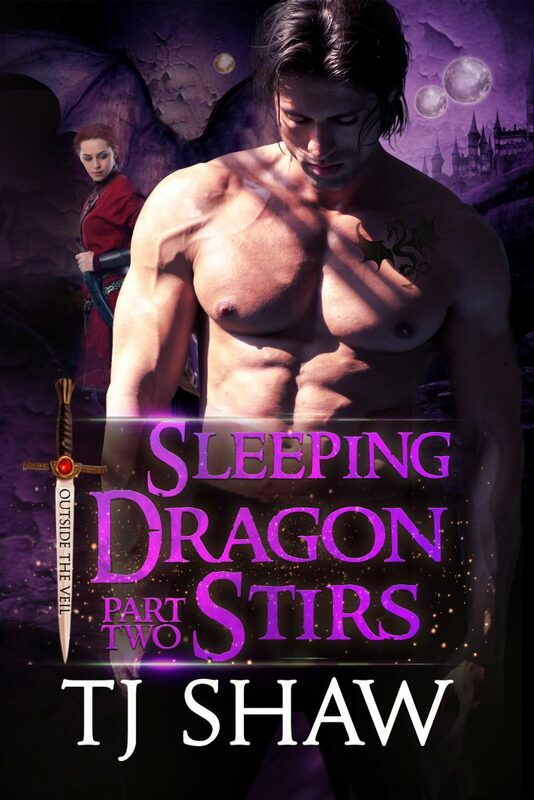 Sleeping Dragon Stirs, part two has a release date of October 8th, 2018! It’s also available for pre‐order at the major e‐retailers. Amari stared beyond the hulking body blocking the entrance. The sky had lightened to a deep purple. Although Jaxon’s eyes remained closed, she knew the obstacle in front of her only feigned sleep. Despite her sudden bout of claustrophobia, her toes curled in anticipation. She would love to play with this dragon. She crawled forward until she reached him and hiked a leg over his waist, only she lost her balance and landed heavy on his stomach. Intent on swinging her other leg over, she planted her hands on his chest, but Jaxon grabbed her thighs and she sucked in a startled breath. Her surprise wasn’t due to embarrassment or fear. No, those emotional responses were too rational for her. Instead, the spattering of hair in the V of his shirt elicited her reaction. If she unfastened just six little buttons, she could follow that enticing path to its point of origin. A devious smile lit her lips, for she liked blazing new trails. She shifted to get off, but Jaxon’s grip tightened. Yes! Tell him. “No, no,” she insisted, not sure who she hoped to convince, especially since her hand had bunched a swath of Jaxon’s shirt, and didn’t seem inclined to let go. 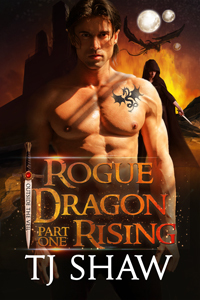 Win a Signed Advanced Reader Copy of Rogue Dragon Rising! 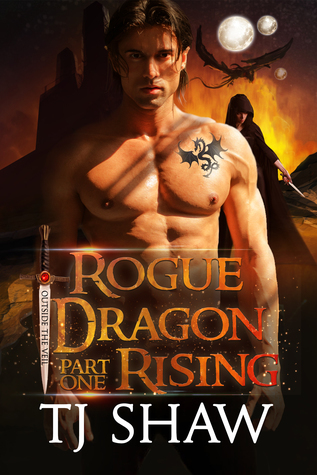 Want your own signed advanced reader copy of Rogue Dragon Rising? Then enter the Goodreads giveaway for your chance to win. But hurry, the giveaway ends September 24th, 2018. Giveaway ends September 24, 2018. I just love the covers for my Outside the Veil series! Dar at Wicked Smart Designs did a fantastic job. I hope you enjoy Lord Jaxon Blackthorn and Amari. On a slightly different note, Rogue Dragon Rising is temporarily available on Net Galley for review. So, please get your copy if interested in reviewing. Also, Rogue Dragon Rising is still available for pre‐order at $0.99. Part two in the exciting epic fantasy romance serial trilogy, Rogue Dragon Rising. As the day of her awakening nears, Amari Hawke struggles to control the beast inside her. Basking in the energy of the approaching Trinity moon, her animal’s strength has increased to the point it can control Amari’s mind and body. Fearing she is about to slip into madness, Amari is forced into a tough choice. In a desperate attempt to save Amari and her beast, Jaxon Blackthorn encourages his cadre, the men in his trusted circle, to establish mental links with her, but when his plans fail and Amari’s animal exerts control, he must fight for the beautiful woman who is lost to her beast. Together, can Amari and Jaxon’s developing bond for each other overcome the urges driving Amari’s animal as they also thwart an unseen enemy vying to keep them apart?